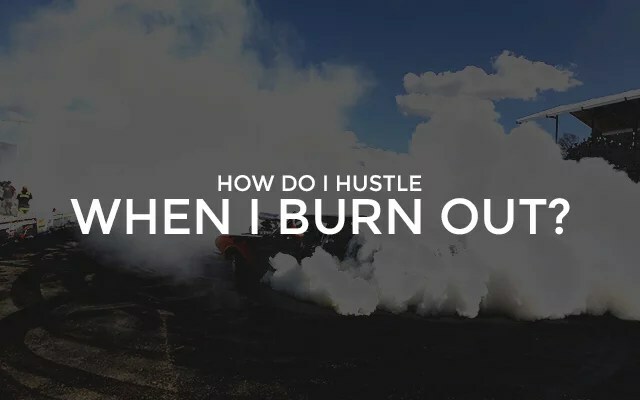 How Do I Hustle When I Burn Out? The concept of “hustle” I wholeheartedly preach about has been questioned various times. I have been told that the rate I hustle will eventually lead to burn out. I won’t argue with that. It’s true that at the rate I hustle can, will and has burnt me out, but only in times when I hustled on my own strength. The past few days I’ve struggled serve as an perfect illustration for that. I wrote a few weeks ago about how I a big chunk of my income almost unexpectedly. When that happened, I admit I had no intention or capacity to hustle. In the midst of storms, we often feel that there is no way to keep your boat afloat and your sail firm. The invincible will of man is suddenly as fragile as thin ice. Your seemingly unlimited strength is suddenly your weakness. Foolproof strategies suddenly bring about more questions. When faced with situations like this, I would think that I had nowhere else to turn to. Never had I been more wrong. Are you faced with a trial so big for you to bear right now? Are you facing debt, family problems, lack of direction, or maybe even death? Jesus once made a promise that unlimited power would come upon us when we receive the Holy Spirit into us. It often feels like God brings trials upon our lives just to make us suffer. Well, that’s partly true. God does bring trials, but His intention is definitely not to make you suffer. It’s to test your faith, and to see who you would choose to trust in times where you are faced with dead ends- yourself, other people or the power of God made available through the Holy Spirit. The true question is “Where do I rely on for strength, capacity and breakthrough?” It’s time to stop trusting in your own ability to hustle. It’s time to receive power. Acts 1:8 goes on to say, “You will be my witnesses…” For the longest time, I viewed this statement as an an commanding order to follow. Truth be told, it’s more than that. It is a faithful promise to claim. You can’t be a witness if you don’t have a story to tell. That means that when the Holy Spirit comes upon you, He will allow you to experience a story worth telling, a miracle worth sharing, power worth praising, or even all of that! Your faith is your limit. You decide how much of God’s victory to claim.